To what extent can SuDS be retrofitted in a high density urban environment? That question has rung out in the industry in response to a number of great examples being forwarded from the UK and abroad which show SuDS in a suburban street or a vast field. Can we really do this in a built up environment to help solve the problem of sewer flooding? The Thames Water pilot project Greenstreets@Counters Creek has set out with exactly this brief: deliver retrofit solutions for three streets in densely populated west London (see figure 1). 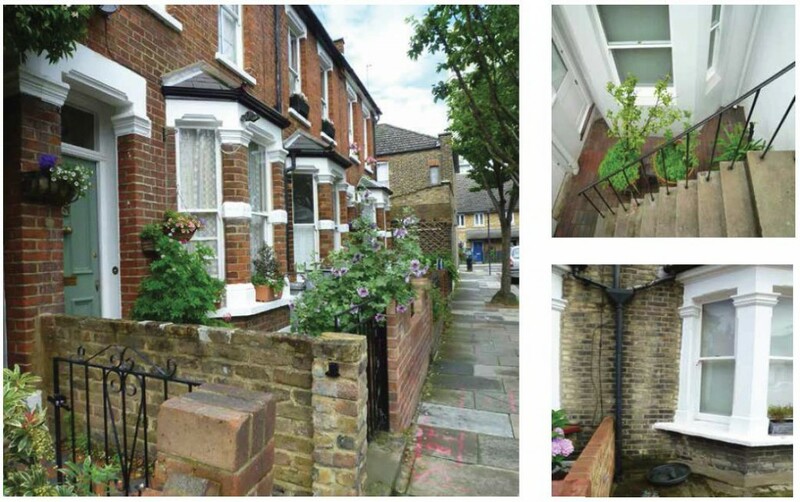 The aim of this project is to demonstrate how SuDS can work as part of a wider solution to help tackle the lack of capacity in London’s sewers, and to measure the benefits. Arundel Gardens: A sought after area in the Royal Borough of Kensington and Chelsea and on the route of the Notting Hill festival, this grand street has stunning four-floor white stucco fronted terraced houses, all with basements. The street has a line of struggling Magnolia trees squeezed in to tiny tree pits in between coal vaults beneath the pavement that were used for deliveries in times past. Mendora Road: A typical terraced London street in Hammersmith and Fulham Borough with two-storey houses with small front and back yards. A narrow carriageway provides little room for manoeuvre and parking is at a premium. The local community clubbed together to pay for a set of cherry trees to be planted in the street. Melina Road: A community hub, half of Melina Road has been converted into a pedestrianised area, linking an Academy, a nursery and a local park. The public areas have been the scene of anti-social behaviour in the past and the local community treasure their green space. 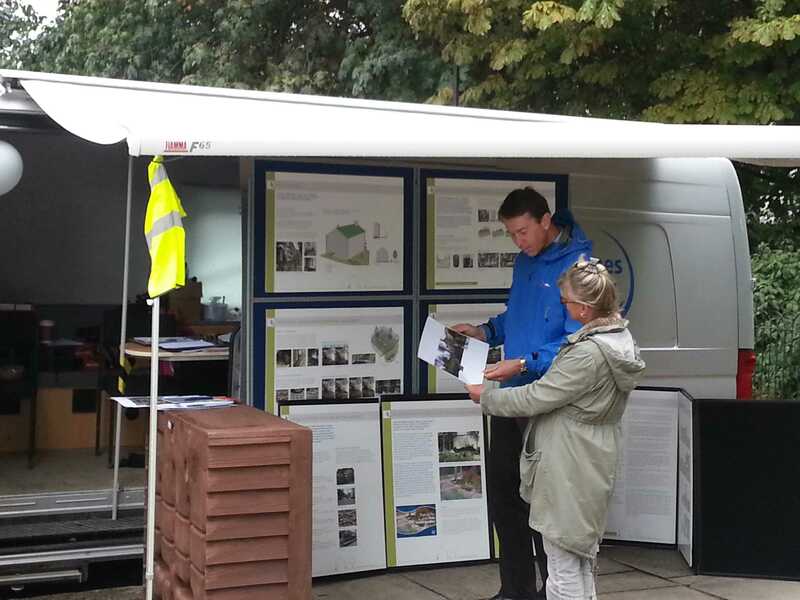 The concept design phase has been completed for the streets and we have been through a journey with local residents and councils to arrive at a set of SuDS retrofit proposals for both the streets and the properties on those streets which received a good level of support. A series of mail-drops and drop-in community events (see figure 3) were held to spread the word and generally resident feedback was in favour of the retrofit, with communities seeing the wider benefits and also intuitively understanding the critical relationship between paved urban areas and rainfall entering the sewers. Counters Creek has historically had serious problems with sewer flooding in basements as the aged combined sewer system has been unable to cope with particularly heavy and prolonged rainfall events. 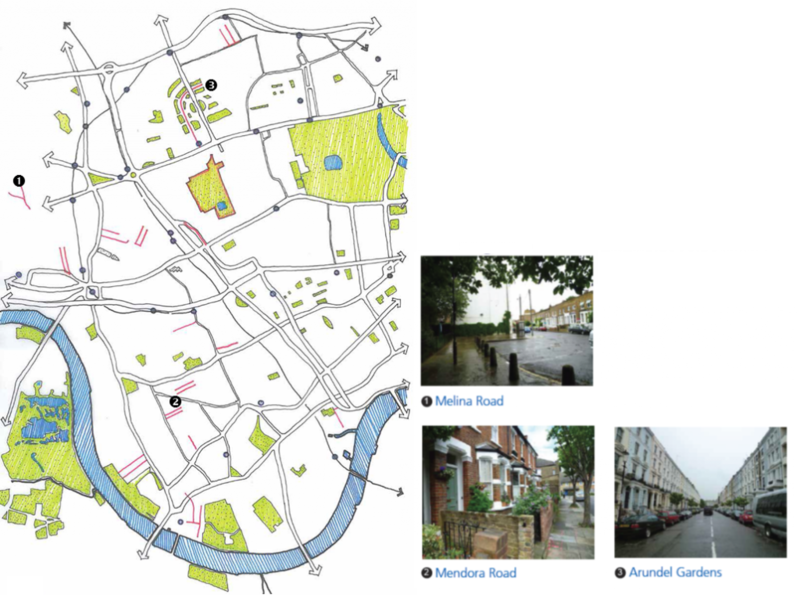 Although SuDS cannot offer a solution to this problem on its own, the aim of the project is to see how SuDS can complement the other work that Thames Water is doing. The concept designs for the streets include bioretention tree-pits in Arundel Gardens, permeable paving in Mendora Road, and a combination of bioretention areas and storage areas in Melina Road. The residents are being offered a variety of solutions to store and slow their roof water, including fashionable water stores (see figure 4) and rain gardens. The pilot project allows residents to sign-up for free SuDS features which will be maintained by Thames Water for the first year. Local councils are working alongside the team to design and deliver the designs and will take on maintenance after the initial trial period.